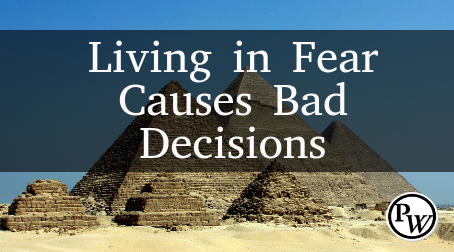 Living in Fear Causes Bad Decisions, But You Don't Have to Live in Fear! 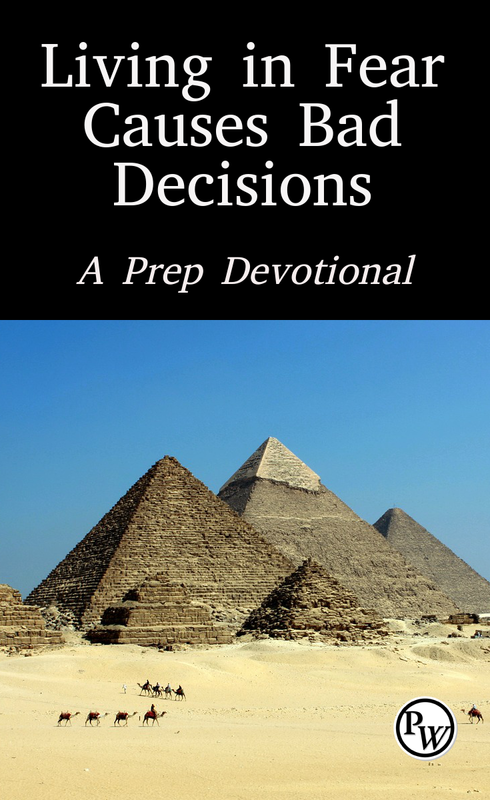 Todd’s Note: This article/devotional was first published on Prepper Church. Fear is a powerful motivator. I know someone that went to the doctor to get some blood work done for a check-up because he wasn’t feeling 100%. This doctor was able to run some preliminary tests at the office and found sugar in his blood, a possible sign of diabetes. The test results came back negative praise God! But soon after, this person was back to eating all the junk and drinking all the soda like before. Fear is a powerful motivator…for a while. You might live in fear, fear of an economic collapse, fear of a major disaster, fear of a pandemic, etc. In fact, many people start prepping because of fear. But you shouldn’t continue prepping from a place of fear. When fear grips your life, bad decisions can be made! The Israelites weren’t doing anything wrong. They weren’t plotting to take over Egypt or anything. Out of fear, the Egyptians decided to oppress the Israelites because they “could” overpower them some day. As a result, the Egyptians became taskmasters, ruthlessly working the Israelites for generations. Paul tells Timothy, God hasn’t given you a spirit of fearfulness, but He HAS given you a spirit of power, love and sound judgment. Do you feel like you have that “spirit” in you right now? Why not? What would life be like if you approached every day from a point of power, love and sound judgment instead of fear? why do you think anyone is living in fear? we prepare for what is to come, we don’t fear it because we prepare for it. its sheeple who should be fearful.